Tourists from all over the world come to see the unique landmark architecture of Rotterdam. 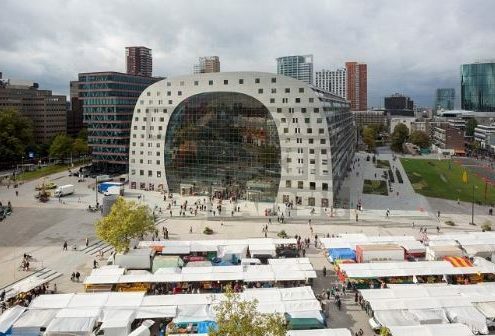 Thanks to the exciting architecture Lonely Planet choose Rotterdam as one of the 10 best cities in the world to visit. From Central Station and the Groothandelsgebouw (a fine example of reconstruction architecture) to the Timmerhuis, the Cube Houses and the Markthal. Our architecture guide will lead the way while offering information about the architectural treasures of Rotterdam. We start at the Central Station and end at the Market Hall.